Our Team – Mills Machine Company Inc.
As owner and President of Mills Machine Company, Inc., a major custom manufacturer of earth drilling tools founded by his family in 1908, Chuck began his lessons in leadership at a young age, working in the machine shop throughout high school, alongside his father, David. Chuck began to learn the business, but of equal importance, he gained early insight into the value of practical experience, something that has helped him grow Mills Machine Company into one of the most innovative and diversified earth drilling tool manufacturers in the U.S. Following graduation from the University of Central Oklahoma with BBA in Management, Chuck returned to Mills Machine Company. He worked with his father until David retired. Chuck then bought the company stock and became President and CEO, a position he has held for more than 35 years. 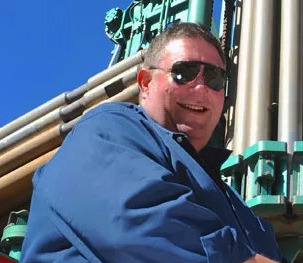 Under Chuck’s leadership, Mills Machine Company became a multi-million dollar concern that provides a complete line of specialty earth boring tools and accessories for water, mining, construction, utility and environmental applications. Recognizing the emerging opportunities in international commerce, Chuck began to explore foreign markets for Mills Machine Company products. The company now exports an average 25 percent of its products to an estimated 70 international markets. In addition to his corporate leadership, Chuck devotes considerable time to civic, community and professional organizations. He focuses on leadership positions in four areas including workforce development and education, global trade, manufacturing and small business. Among his statewide activities, Chuck has served as Chairman of the State Chamber of Oklahoma, Governors International Team, OK District Export Council, Executive Committee Member of the Governor’s Council for Workforce and Economic Development and Co-Chair of the OK Workforce Youth Council. At the local level, he served as the Mayor of Shawnee from 2004 to 2008, describing himself as a business mayor for economic development. Chuck has been widely recognized for his contributions and achievements in personal, professional and community venues: including: the Oklahoma Workforce Business Champion in 2015, the “Distinguished Alumni Award” from the University of Central Oklahoma in 2012, the Governor’s “Small Business Person of the Year” award in 2011, the Oklahoma “Mayor of the Year” award in 2008 and the Shawnee “Citizen of the Year” award in 2006. Chuck Mills is married to Karen W. Mills and they have two daughters, Britan and Kurstyn. John Harris brings a wealth of experience in Sales and Design to Mills Machine Company, particularly with respect to his understanding and expertise working with international customers. John was born abroad to a family involved in the oil industry. He spent most of his formative years in the Middle East during a period of volatile change in this region. His family was evacuated from Libya when Muammar Gaddafi seized control of the country in 1969. Later, living in Tehran, Iran in 1978, John had just graduated from high school when his family was forced to leave the country as a result of the Iranian Revolution. John’s first experience as a U.S. resident began when he entered Baylor University in Texas as an undergraduate student majoring in chemistry. During his undergraduate years, John worked on off-shore petroleum projects in Dubai, Indonesia, Singapore and Hong Kong. These activities provided practical experience in the drilling industry and insight into a variety of international cultures. After graduation, John pursued opportunities in international brokering which eventually led to a position as a Director of Sales for the Western U.S. for Randomex, a computer technology company based in Los Angeles. Under John’s leadership, company’s sales in the Western Region increased on a consistent basis during the seven years of his tenure. In 1992 John and an associate with U.S. Asia Electronics embarked on a venture in the electronic components industry in Oklahoma. Once here, John and his family found the state offered a home and lifestyle that was particularly appealing. 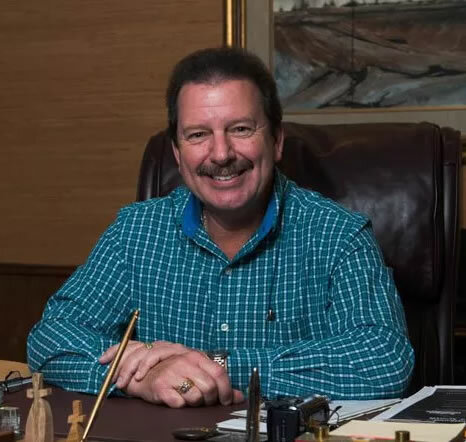 In 1995, his sales and international experience led to an opportunity to join Mills Machine Company, Inc. where he has utilized his knowledge and experience in serving the company’s domestic and international customers.